With more businesses looking to outsource their travel management, the number of organisations offering corporate travel services is also growing. But finding the right travel management company (TMC) for your needs from the multitudes offering their services can be like looking for a needle in a haystack. 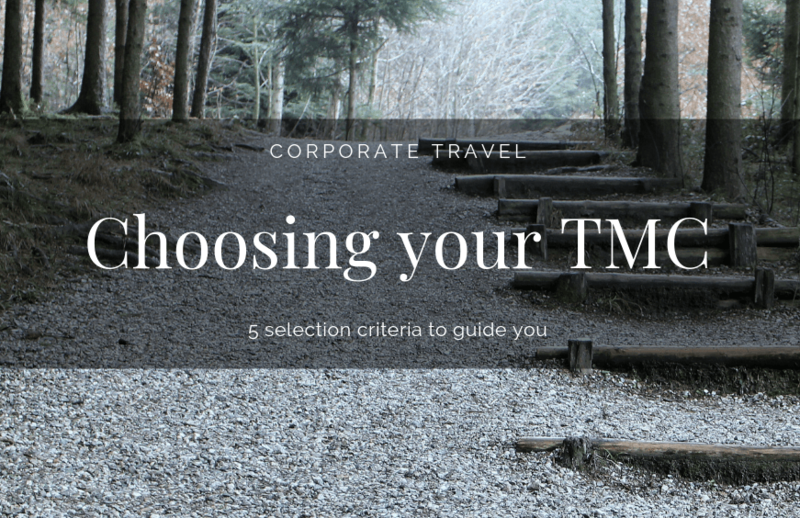 Here are five things you should look out for when selecting a TMC to handle your corporate travel. You want it to be simple and straightforward for staff to book their travel, otherwise the time they have to spend making travel arrangements will cost your business. A streamlined booking process that makes use of state-of-the-art online booking tools is the foundation of any good TMC. The bigger the range of carriers, the more you’ll be able to compare and get the best possible deals on your corporate travel. Conversely, a limited range of carriers means fewer options and a higher probability of bookings being made outside your travel policy. You don’t want to be dealing with hidden costs when you’re working with a TMC. Make sure their fee structure is transparent and you know exactly what you’re being charged for. It’s also a good idea to ensure that when you cancel or change travel bookings, their online booking tool (OBT) displays any penalties or fare changes so you always know what you’re up for. The approvals process is one of the differentiating features of corporate travel over personal travel management. Find a TMC with approvals workflows integrated in their online booking tool, so you can have the whole approvals process automated and save time. Keeping track of travel costs is the best way to stop them getting out of control. A good TMC will be able to provide regular reports on your travel spend, so you can stay on top of your budget. All TMCs are unique, just like your business. It’s important to find one that’s a good fit. The right TMC can save you money on your travel costs, keep you within budget and find the most efficient logistical solution to get your employees from A to B (and often C, D and E). They will have a workflow that suits your requirements and help you set up a travel policy if you don’t have one. They will also provide immediate support if something goes wrong. By taking some time to find the right TMC using these criteria, you can stop worrying about travel and focus on developing and running your business.